It was close to 70 degrees out today and hardly feeling like Christmas, but R and I continued his family tradition and went out the day after Thanksgiving and got ourselves a pretty little tree. 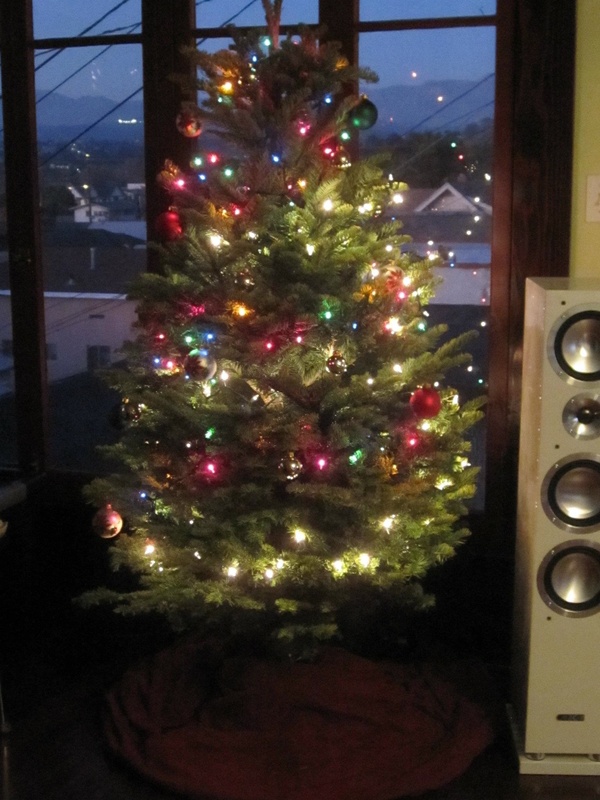 This is my first real tree (at my house, Christmas was always a day of going to a lot of church and not a day to celebrate Santa). I didn’t realize there were so many different kinds! Apparently, we got one that smells real piney. I love it and think it’s perfect. No, those are not snuggies around the tree. I’m also really excited to start collecting some meaningful ornaments with R. We just ordered two off Etsy that are super dorky, but super cute. Don’t worry, I’ll share once they get here. We spent the day hanging out and Christmas-ing up the house. We trimmed the tree and decorated the mantle. 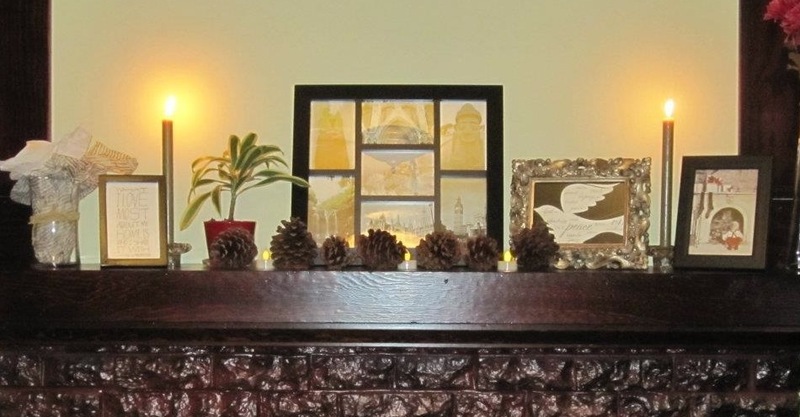 I swapped out the pumpkins with cinnamon-scented pine cones and replaced the Autumn-y pictures and cards with Christmas-y ones. I love saving old greeting cards. 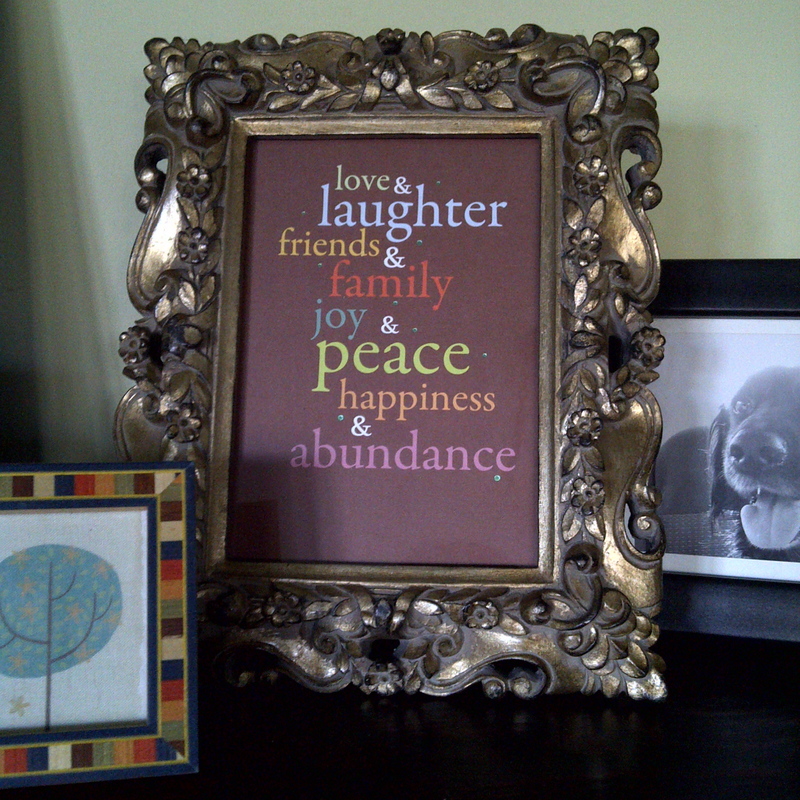 When I frame them, I get to think of the lovely people who sent them. We also had Christmas music playing all day. I love Christmas albums from Ella Fitzgerald, Etta James, and Johnny Cash. They just make you feel good. I think we did a pretty nice job bringing Christmas to LA today. We even made ourselves a fancy steak dinner and broke out the Christmas wine glasses and placemats. While R’s delicious filets were the star of the meal, I made a new broccoli dish that was pretty tasty. We never really did Thanksgiving at home. Well, that’s not entirely accurate. My immigrant parents had no interest in doing a traditional Thanksgiving, but I kind of forced it on them. Growing up as one of a handful of Asian kids, I was always jealous of my friends who had these beautiful Thanksgivings straight out of a sitcom. Instead of kalbi and japchae, I wanted turkey and mashed potatoes. So, I did my best to cook what I could, which, as a 12 year old, usually involved the use of canned vegetables. It was hardly a scene from Martha, but it made me feel “American”. Thankfully, I’ve grown up since those days. I love spending all day cooking Thanksgiving dinner, drinking wine and listening to Christmas music. There are no canned veggies involved. And, most importantly, I don’t feel any need to emulate a dinner from television. My Thanksgivings were special because we incorporated food that meant something to us. 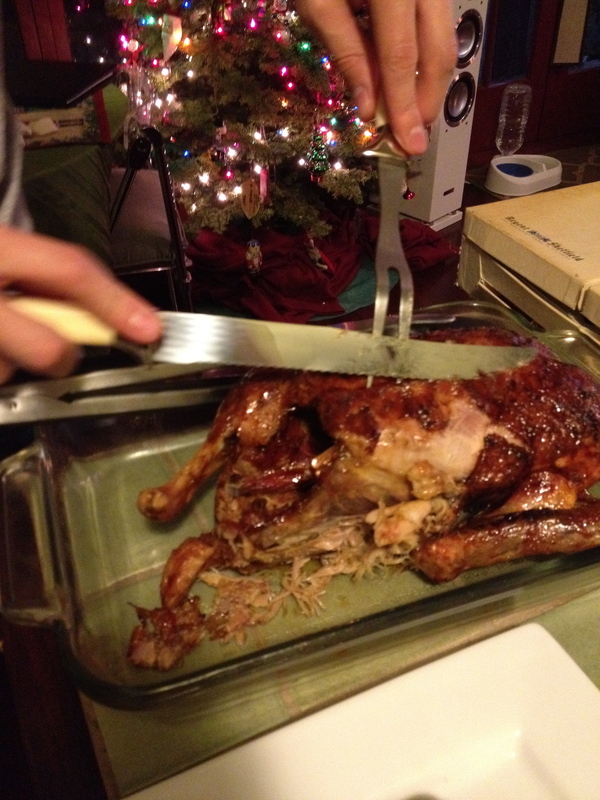 It isn’t not-American because the table is set with duck instead of turkey, or kimchi instead of green bean casserole. It is wonderfully American to incorporate our traditions with some new ones, and spend a meal together being thankful for all of God’s blessings. This year, we’re spending it at R’s uncles near San Diego. A little bummed I don’t get to cook dinner and I don’t get to roast the duck that’s sitting in my freezer, but I’m looking forward to meeting more of R’s family and checking out more of SoCal. We’re all bringing a dish, so I had to come up with something that’s (1) potluck friendly; (2) will travel 2 hours well; and (3) doesn’t require taking up any oven time at the host’s home.